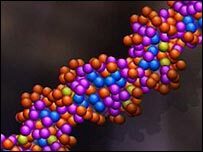 The government has defended storing the DNA profiles of about 24,000 children and young people aged 10 to 18. The youngsters' details are held on the UK database, despite them never having been cautioned, charged or convicted of an offence, a Conservative MP found. Grant Shapps obtained the figures in his campaign to have the DNA profile of a wrongly arrested teenager erased. He fears a juvenile database is being created by "stealth". The Home Office said no-one lost out by being on it. Suspects who are arrested over any imprisonable offence can have their DNA held even if they are acquitted. But Mr Shapps fears a huge juvenile database - though not illegal - is being created by "stealth" and the "back door". Mr Shapps said: "If the government wants to build a DNA database of the entire population, starting with kids - bring forward proposals, pass it through parliament and have a debate." He is to launch a campaign to get the youngsters' details erased from records. The Home Office figures came to light when he was campaigning to have the details of 14-year-old Jack Saywood, who was the victim of mistaken identity, deleted. After protests, the local chief constable agreed to remove his details. Jack's mother, Frances, said she was delighted, adding: "I think my son would have had this record for the rest of his life." But Home Office minister Andy Burnham said no-one lost out through being on the database. "It is not a criminal record to which public authorities and others have access. "It is an investigative tool that the police can use according to their discretion." He added there were "proper safeguards in place" as to how DNA information could be used. The Home Office announced earlier this month that 7% of the UK population would be on the database in two years' time. It is already the biggest in the world and has so far cost £300m. Just over 5% of UK residents currently have their DNA profile held, compared with an EU average of 1.13% and 0.5% in the US. Of the three million samples held at present, 139,463 are from people never charged or cautioned. The Home Office says the number of samples stored will rise to 4.25 million by 2008. There are also samples from more than 15,000 volunteers, including victims of crime, who responded to police appeals. However, the number of crimes solved through DNA technology has quadrupled over the past five years. Police can now track down offenders by matching samples with other family members who may be on the database.